MONTGOMERY, AL (WSFA) - A Montgomery family has taken the search for a missing loved one to a new level in an effort to shine more light on the case. 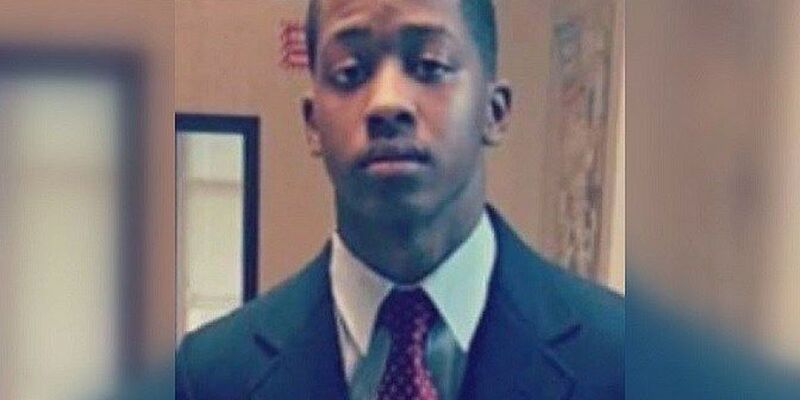 Rickem Samuel, 20, disappeared less than a week before his supervisor at work. Now, both families are seeking answers and asking the public for help. Erika Davis misses late night chats with her son and hearing him talk about his job. But it all stopped when Rickem vanished. "It's been eight weeks. I don't know where my son is, I haven't heard from him. It's heartbreaking," Davis said. Rickem turned 20 since he went missing on Saturday, April 2, 2016 as he was out running errands. Around 1:30 p.m., he was last seen getting into black 4-door Nissan Versa at the Eastern Boulevard Walmart, not far from his home. Authorities say he may have been headed to the area of Chase Street. His family knew right away that something was wrong. "I got a little worried when I started calling his phone and it was going straight to voicemail and that's not Rickem," his mother said. "Whenever he went somewhere, he always made a point to contact me to let me know where he is at all times. He's always calling and keeping in touch." Since then, his loved ones have not stopped searching; combing neighborhoods, posting fliers in different cities and sharing information and his photo online. "He's on Facebook and his missing poster will be my post until the day my son comes home, every day," Davis added. Relatives have helped put up fliers in Atlanta, Birmingham, Wetumpka, and Brewton, where Rickem and his family are originally from. He graduated from Carver High School in 2015 and planned to start welding school in May. One day, he plans to become a firefighter. According to his family, Rickem was currently working at Glovis America, the company responsible for processing vehicles for shipment to Hyundai dealers. So does Nanette Thomas, who is also missing. She is Rickem's team leader and disappeared April 8, 2016- six days after Rickem. Thomas lives at the Eastdale Apartments, on Eastdale Road, not far off of Atlanta Highway. Her relatives have been desperately trying to reach her, calling, texting and sending her Facebook messages, to no avail. "I haven't seen her. I haven't gotten any phone calls, nothing. I've been calling her and it just goes to voice mail," said her son, Arkeem Thomas. Her family members were alarmed when they got a call from her employer informing them that she had not been to work in a few days. They went to her apartment, but she wasn't there. Everything was in order and looked fine inside her home, but relatives knew it was out of character for her to be unreachable and they reported her missing. "She doesn't like anyone to be worried and for her to be the reason we're all worrying, it just doesn't seem right," added her niece, Patrice Johnson. Montgomery police continue to search for both coworkers. In the days before Nanette Thomas disappeared, Erika Davis says she came over to help search for Rickem. "She was very sincere and said Rickem was a well-mannered young man. She helped my family and friends look for him. It breaks my heart to know that she's missing also. It tears me apart," Davis added. Both families are hoping for new information that will help lead them to Rickem and Nanette. Erika Davis is working closely with Central Alabama CrimeStoppers to search for details on her son's whereabouts. "If you know anything about Rickem Dewon Samuel and his disappearance, speak up. Someone out there knows something," she said. Montgomery police officials indicated Friday night that they do not show any connection between the disappearance of Rickem Samuel and Nanette Thomas. Rickem was last seen wearing a blue polo shirt, blue jeans, and high-top Oxford type shoes. He is 6'01" and 163 lbs. "He has a real distinctive mark of a lazy eye. You will notice it if you see it because that left eyelid hangs over his pupil. You'll be able to notice it," his mother said. Anyone with information on the investigations is asked to call CrimeStoppers at 215-STOP. Your tip can remain anonymous and could lead to a cash reward. "I'm hoping that my son walks up this driveway. That would be a big relief," Erika Davis said. "Me as a parent, I never would have thought that this would have come to my home because I see him every day. He goes to work and comes home and you'd never think it would happen to you."